In our last blog we talked about the growing pet obesity epidemic. In this blog we will discuss how can get our mutts moving and beat the bulge this year. As I mentioned in part 1 of the blog, you should make and appointment with your vet to discuss your pets current weight, goals for weight loss and ideal body weight for their breed. You can also discuss low calorie diets, or the recommended daily calorie intake your pet requires. Along with recommendations from your veterinarian here are some great ideas to help you and your pet get active this year and lose some of our extra fluff! This is an awesome product! According to their website the K9FITBONE has "Integrated instability training to develop strength, endurance, proprioception, balance and flexibility." 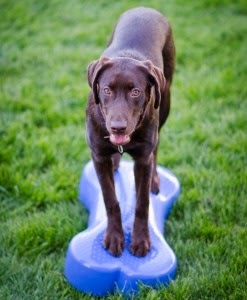 Dog Tread provides a variety of products that aid in your pets weight loss, balance, and stretching. One of the products on my wish list this year is k9FITBONE! 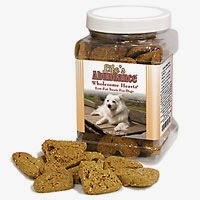 Click here to shop Dog Treat products. 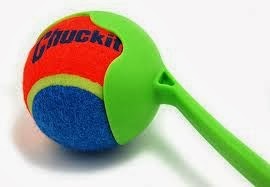 We are true believers in all the Chuckit! products. We have gone through several of their toys because they were loved a little too much. Some of our favorites are their launchers and flyers. Chuckit! products are great because they have several water toys. Swimming is a lot easier on our joints and it works the same way for your dog. 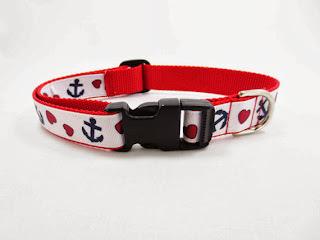 If your pup is already a little on the heavy side it may be ideal to start in the water. Click here to shop Chuckit! products. Both 2 and 4 legged fitness fiends enjoy getting new workout gear! Start this new year off right with a new leash and collar combo from Southern Wag Pet Accessories. If you are a fitness hound of a budget long walks or jogs are free and good for the both of you! Walk around town, hike up the mountains, explore a park! Just remember to bring your Southern Wag with you wherever you go. Click here to shop Southern Wag products. The SlimDoggy App is awesome! I have it downloaded already to being tracking our progress for the new year. 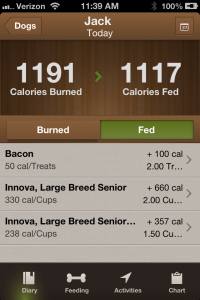 A simple calories in vs. calories out is a great way to help you see what your dog's progress during its weight loss journey. Their database holds over 2,000 different treats and foods to help you customize your SlimDoggy App experience. There is also a wide range of activities for you to enter based on what you enjoy doing with your dog. Every dog has it's day and when your pal needs a treats Pure American Pet Supplies has you covered. They offer a variety of wholesome treats that are also law fat. Why do we love Life's Abundance? Well, first of all my dogs can not get enough of them! Most importantly we love them because they contain "no corn, no wheat or wheat gluten, no soy or soy gluten. No artificial colors and no artificial flavors." As an added bonus, Life's Abundance is free from any pet food recalls! We LOVE that! With these 5 tips I really hope this gives everyone the motivation to get out and get active with their pets in 2014. No matter what your budget or fitness level these are great ways get off the couch and stay motivated on your journey to a healthier family. Wow you have mentioned great stuff here.. Every dog lover should try these things. I want to buy that toy for my pet. Day 12 in the 12 Day of Christmas! 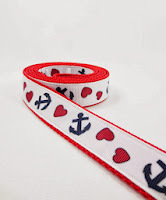 Are you subscribed to our blog?